Please click diagram to enlarge and read it, hit the return button to come back here. Such alignments may be temporary and a reaction to immediate and intense circumstances. 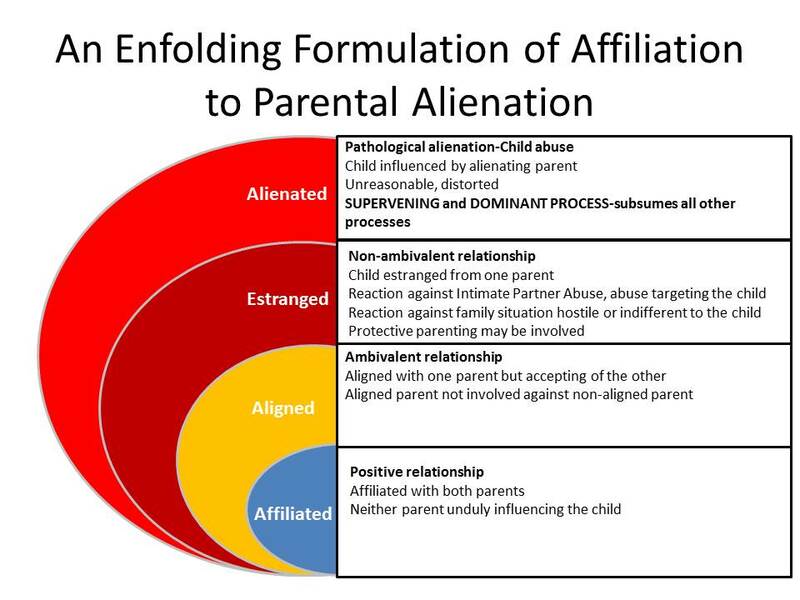 The parents from whom the children are estranged have generally contributed to the estrangement through violence and abuse. This may be a healthy reaction in children to protect themselves from family situations that are intrinsically hostile or indifferent to them.